Ulm retained one of their most important players from last season. Dane Watts (2.04-PF/C) will be playing for Ulm for one more season as the team announced via their official website. This is the second player that renews after point-guard Tommy Mason-Griffin. Watts has been one of the cornerstones of Ulm's success this season. 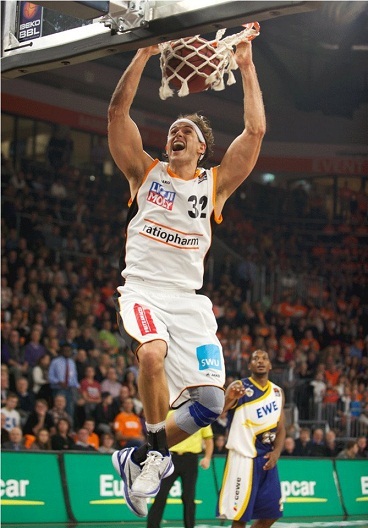 He helped Ulm reach the semi-finals of the Bundesliga's play-offs averaging 10.1 points and 6.6 rebounds in 32 games so far in the Bundesliga. Watts graduated from Creighton and played pro for the first time in Germany in 2008 for Ludwigsburg and then for Tuebingen and he has also played Hyeres-Toulon before playing for Ulm. Sam Muldrow is a free agent?